Breathalyzer devices are not “smart,” high-tech items. Breathalyzers detect in the breath any compound containing the methyl group in its molecular structure, not only alcohol. The presumption is that if you measure a 0.08 percent or higher blood alcohol content (BAC) level, you are too impaired to drive, but that’s not necessarily the case. If you’re charged with DWI in Orange County on the basis of a breathalyzer test, immediately retain legal help and contact an experienced Orange County DUI defense attorney. Breathing gasoline or paint fumes can create false breath test results. Diabetics often have high levels of acetone in their breath, and breathalyzers cannot distinguish between acetone and alcohol. Fasting, extreme dieting, and low-carbohydrate diets can also significantly elevate acetone in the breath. Breathalyzers also cannot tell the difference between alcohol and acetaldehyde, which is found in coffee, bread, and ripe fruit. It’s also found in the lungs of cigarette smokers, who are more likely to have false high readings on a breathalyzer test. 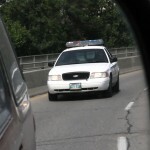 Were you stopped for a legal reason and arrested legally? Was the breathalyzer properly maintained and in working order? If there is any flaw whatsoever in the prosecution’s case against you, an experienced DWI attorney should be able to find that flaw and exploit it on your behalf. Your attorney will develop a defense strategy, gather evidence, examine witnesses, and fight for the best possible resolution to you DUI case. 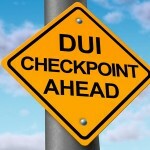 Good DWI attorneys routinely prevail for their clients in southern California, so don’t assume that you’ll be convicted – the state still must prove your guilt beyond a reasonable doubt. 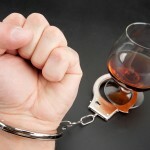 If you’re charged with DWI, put your case in the hands of an experienced Orange County DUI defense attorney immediately.